BMW, Mercedes, Audi, Porsche, Jaguar, Land Rover Repair & Maintenance Lafayette, CO | AWE, Inc. AWE, Inc. is a family-owned, independent repair facility in Lafayette that is dedicated to providing high-quality, competitively priced European car repair and maintenance services. We have over three decades of experience working on all makes and models of German and English luxury vehicles, including Mercedes-Benz, BMW, Porsche, Audi, Jaguar, Mini Cooper, and Land Rover. Over the years, we have served thousands of satisfied customers throughout Lafayette, Boulder, Longmont, Broomfield, and the surrounding Denver area, and become known for our exceptional workmanship, in-depth industry knowledge, and personalized customer service. As a result, we have become the go-to facility for specialized repairs, restorations, and upgrades, earning referrals from car dealerships as well as business from clients as far away as Grand Junction, the Western Slope, and Wyoming. Every member of our team is dedicated to providing the best European vehicle repair services in the Front Range, Colorado, area. All of our master technicians have at least 20 years of experience each. Their experience includes ongoing factory training and years of working at luxury European dealerships. In addition, they frequently attend industry seminars and receive continuing education to stay up to date with the latest service techniques, computerized diagnostics equipment and factory scan tools. As a testament to our commitment to quality, we only use Original Equipment Manufacturer (OEM) or premium aftermarket parts on every car repair and service. Our owner has over 42 years of experience in Porsche restoration and repair, including repairing and replacing supercharged, turbocharged, and air-cooled engines. In fact, our quality of work is so exceptional and level of expertise remarkably hard to find, that we often receive referrals from dealerships in the Denver region when they come across a highly specialized or difficult job. We also offer many other Porsche-specific services, such as IMS bearing replacements, suspension upgrades, clutch repairs, oil separator repairs, air injection repairs, and performance upgrades. 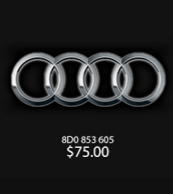 Call AWE, Inc. for Mercedes-Benz, BMW, Porsche, Audi, Jaguar, Mini or Land Rover Service in or Near Lafayette, Colorado -- We Beat Most Dealership Prices! Contact us today! We offer same-day service on a wide range of service, such as oil changes, brake work, scheduled maintenance, and cooling system repairs. For more extensive repairs, we can often get parts in faster than a dealership and will work efficiently to complete the work in a timely manner. Customers can also call ahead to use one of our four loaner vehicles on a complimentary basis while their car is being repaired. Our quotes are always accurate, honest, and above board, and easily beat most local dealership prices for European vehicle repair in the Front Range area. If you require repair and maintenance service that is outside of our normal scope of work, we are happy to provide recommendations for a reputable specialist or local auto body shop in your area. AWE, Inc. is located in Lafayette, conveniently near Boulder, Longmont, Broomfield, Northglenn, Louisville, Superior, Henderson, Brighton, Westminster, Erie, Thornton, Denver, and surrounding areas. We are fully licensed and insured, and stand behind our work with a 12-month/12,000-mile parts and labor warranty. Greg helped me to sort out the supercharging system on my 911 Porsche Carrera. The system had been constant problems since installation by another company. Greg was referred to me for his vast performance and racing experience, having managed a Porsche Race team in the late 90s and run the likes of The 24 Hours of Daytona. It certainly paid off. He has helped me sort out the entire car and greatly improved my performance in SCCA and Porsche Club events. Thanks Greg!! I don't remember how long Greg has been servicing my Porsches, it's been many years now. In this day and age it is so hard to find someone you are comfortable with and are confident they are not going to try and sell you something your car doesn't need. Greg at Autowerks is that guy, in all the years he has serviced my cars there has never been a problem with the work they have done for me. Autowerks is the only shop that ever touches my car. I have known and used Autowerks for 10 years now, with all my Porsche, BMW and recently my 911carrera convertible S. Greg and his team are very knowledgeable, provides impeccable work at a fair price. I definitely trust Greg, his work and I highly recommend his shop for your European fast and luxury car. Simply amazing! Greg Gordon & his Autowerks East team are friendly, knowledgeable, professional, and most importantly, very, very thorough. There is no one I trust more than Autowerks East to keep our classic Jaguar XJR in like-new condition. I trust them completely! As I said, Greg & his Autowerks East team are simply amazing! Broomfield, Thornton, Westminster, North Glenn & Longmont. Our team has extensive experience in the industry, which shows our customers time and time again that the quality of our work is hard to beat. We have four hardworking professionals that take pride in helping our customers repair and/or service their vehicles. Jose 17 years of experience, Brandon has 20, Mark has 42, Greg has 41 and Colin 18 years of experience. Our knowledge of European vehicles is exceptional. We are ready to help you with any need you are looking to get resolved.